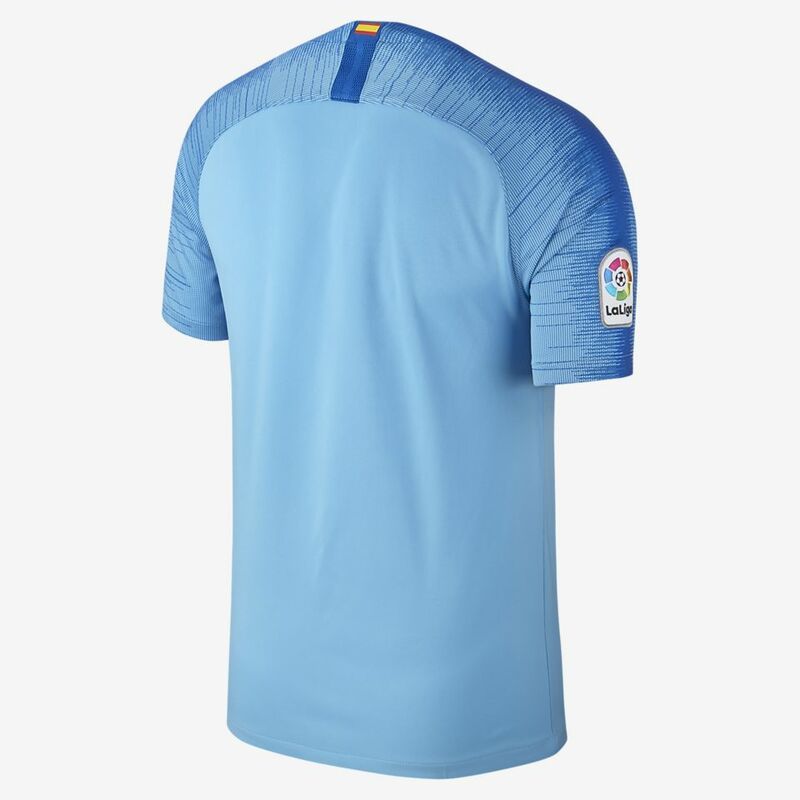 Los Rojiblancos are going all out for victory in the 2018/19 away shirt. 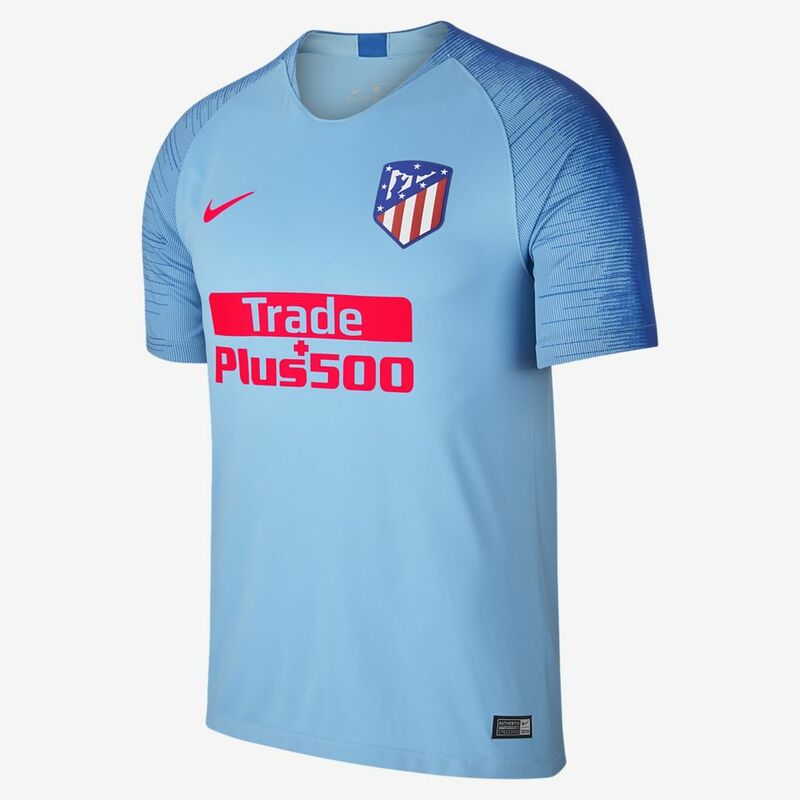 Atlético de Madrid's 2018/19 away shirt is presented in blue, the club's traditional third colour after red and white. Remixing classic navy to electric blue is typical of the progressive spirit of a club that refuses to conform and strives to constantly evolve in search of success. 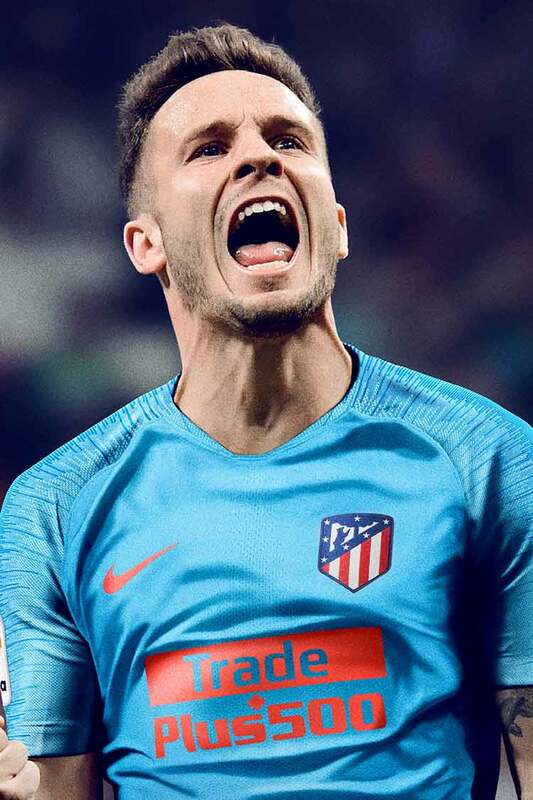 The tactics may change, but one thing that never will is the total commitment of every Atlético player to going all-out for victory. 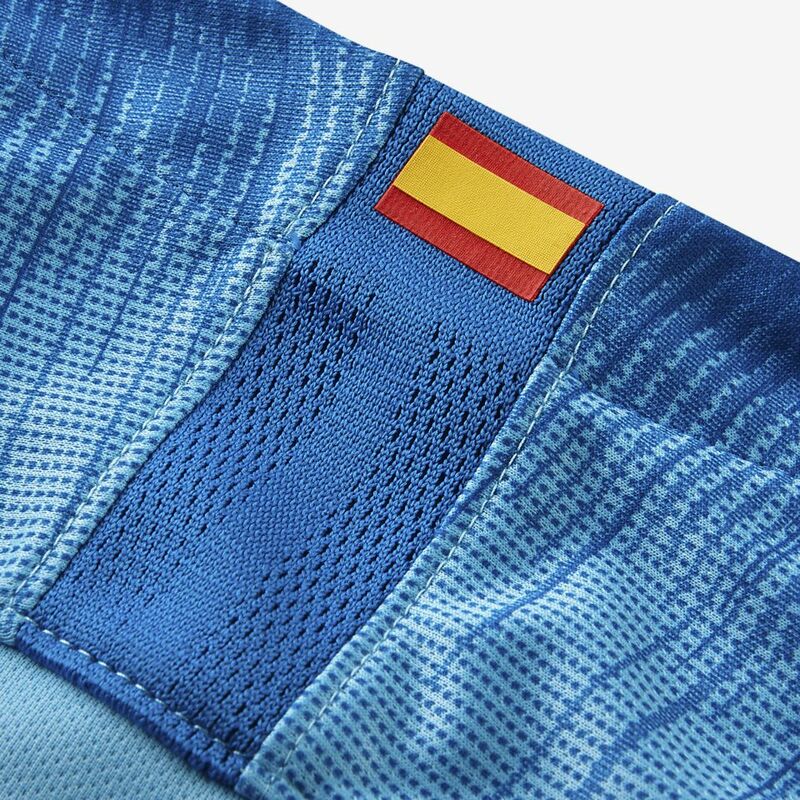 A knitted blend of light and dark blue colours on the sleeves captures the speed of the relentless pressing and passing for which Atlético have become feared on pitches throughout Europe. 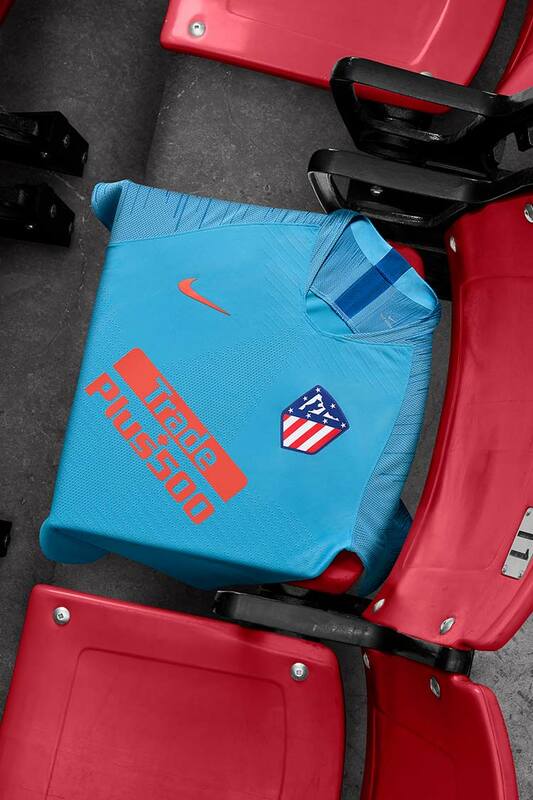 Founded by engineering students in 1903, Atlético de Madrid was originally part of Athletic de Bilbao. 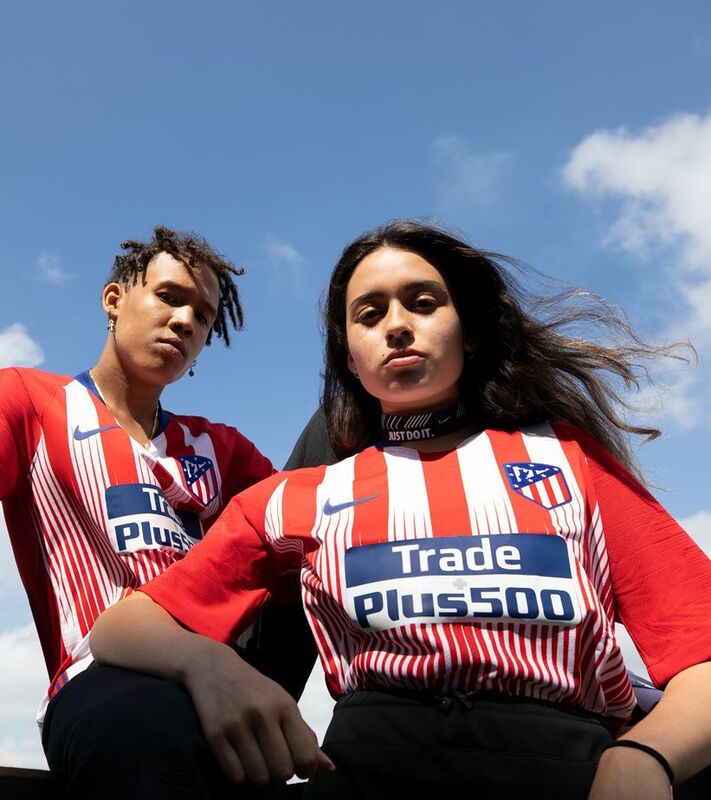 Their striped kit came from Bilbao and resembled old mattresses, giving the team its nickname, Colchoneros ("Mattress-makers"). 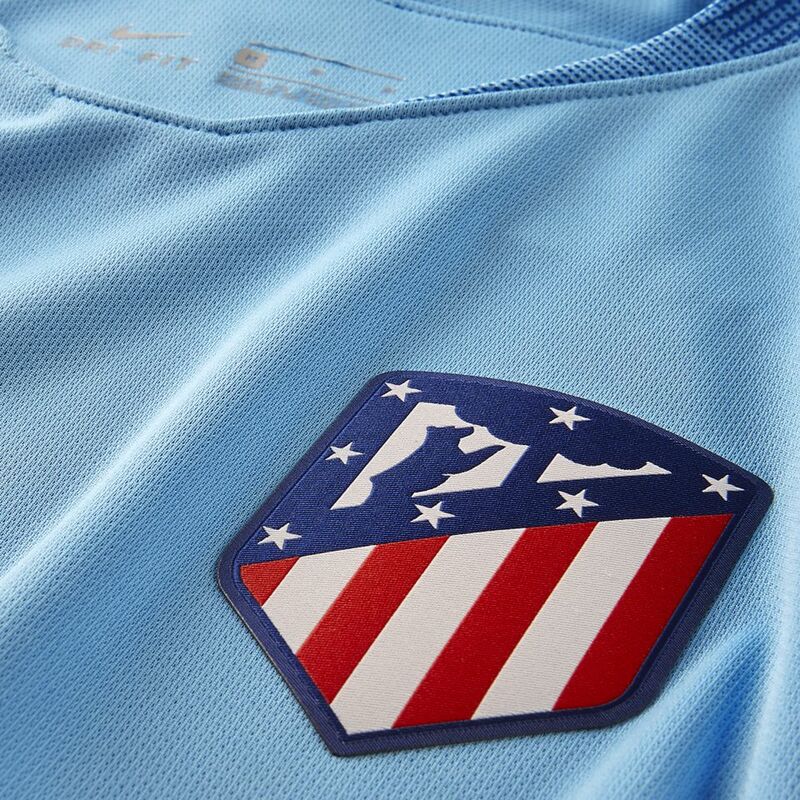 While the shirt came from Bilbao, the crest came from Madrid. 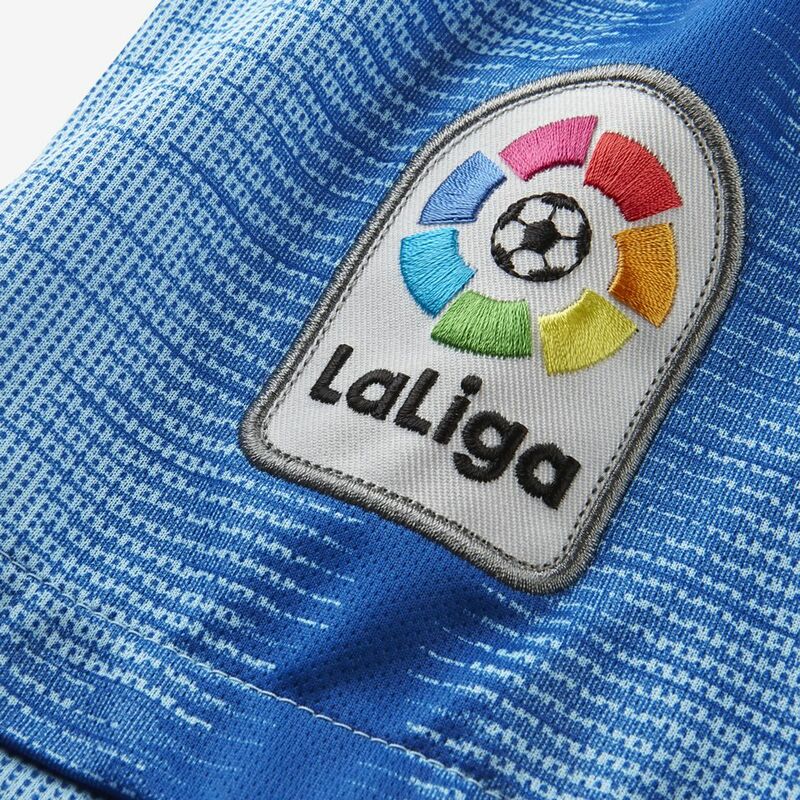 At the time, both bears and strawberries were prominent in Madrid, landing them on both the crest of the city and the club. The bear is a fitting emblem for the club's passionate style on the pitch, which has led them to success. 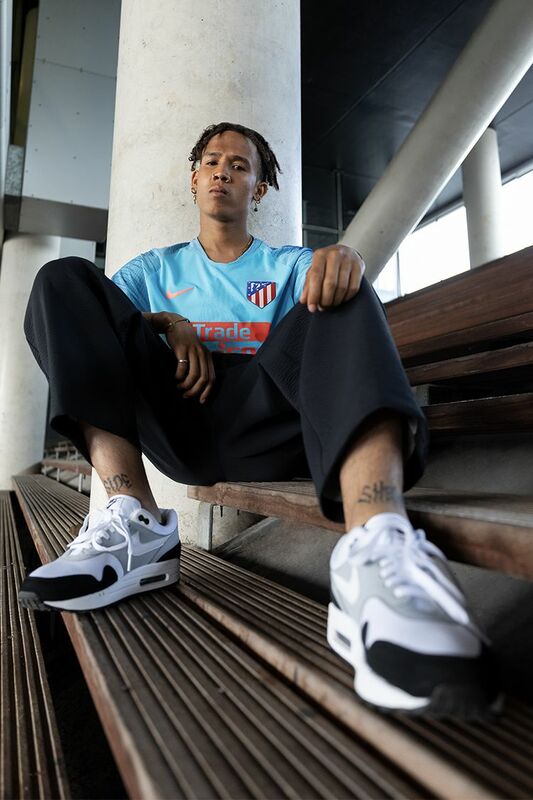 With ten La Liga Championships, just as many Spanish titles and a double in their 1995/96 season, Atlético de Madrid have a winning legacy.